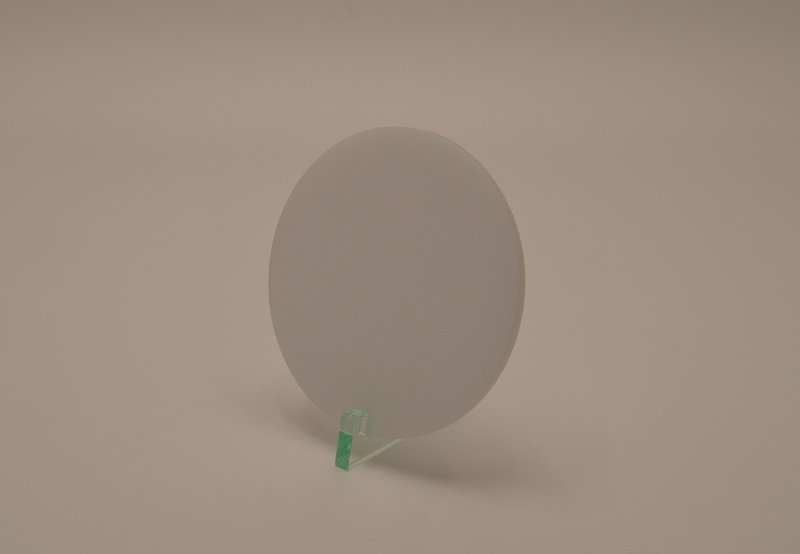 Opal cast acrylic disks are white in tone with good light transmission properties. The material diffracts and diffuses light evenly so is suitable to be illuminted and is often used in light box systems. Opal cast acrylic disks are white in tone with good light transmission properties. The material diffracts and diffuses light evenly so is suitable to be illuminated and is often used in light box systems. 050 acrylic cast sheet has a light transmission of 37%. The opal acrylic diffracts and diffuses light evenly making it the perfect choice for illuminated signage. Opal cast acrylic weighs half as much as an equivalent glass panel making fabrication, installation and transportation a far more attractive proposition. Opal cast acrylic can be recycled all the way back to its original raw material, the monomer.